New Doctor makes Whovian history! Broadchurch actress Jodie Whittaker has been announced as the 13th Doctor in BBC One’s hit Doctor Who. 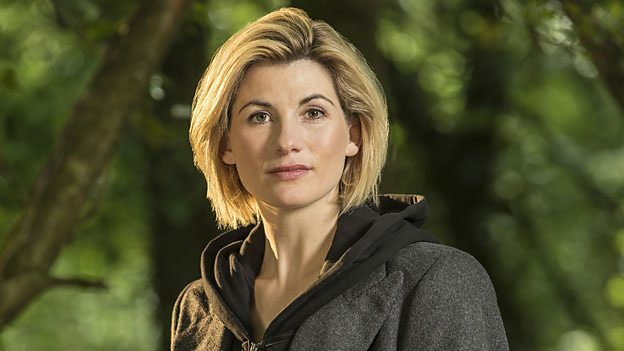 35 year-old Whittaker becomes the first female to have ever played the Doctor, taking over the role from Peter Capaldi who bows out in the Christmas Special. Jodie was first revealed in a trailer (below) following the Men’s Wimbledon final (16 July) and will make her first appearance when the Doctor regenerates in the Christmas Special. It’s no surprise a Broadchurch actress had been announced as Broadchurch creator and writer Chris Chibnall takes over the reigns as showrunner from Steven Moffat.